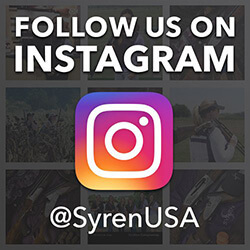 SyrenUSA will be displaying guns during the Field and Fire event, and also hosting a Ladies Demo/Instruction event on Sunday, Feb 3, from 1 – 3 PM featuring Syren Shotguns at the Palmetto Bluff Shooting Club. See link below for tickets and details. There will be no gun-smithing on-site for this event.